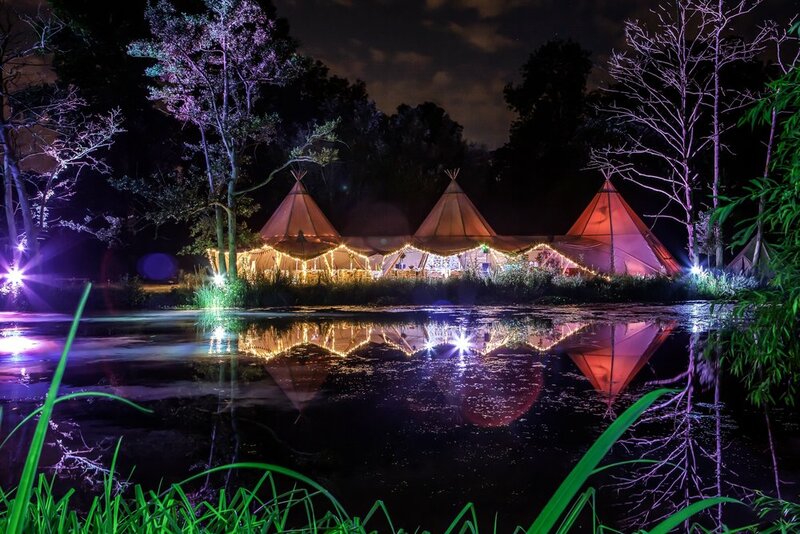 Elegant yet quirky, our tipis are the perfect reception venue for your special day. They create a beautiful space that can be customised to your needs, and form a visually stunning backdrop to the whole event. 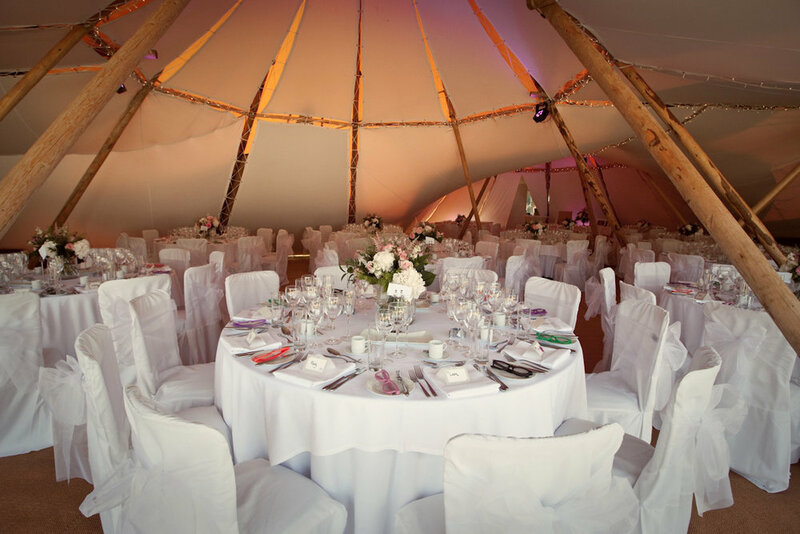 The tents can be configured for up to 350 guests, with 200 seated for dinner at 10 person round tables. This still allows plenty of space for dance floors and a stage, a stylish lounge area and multiple bar options, including a traditional draft beer setup and a dedicated cocktail bar. We don’t believe in a one size fits all approach. Every wedding is different so the space will be modelled to match your needs. We’ll consult with you and provide as much help as you require. We can also produce custom floor plans to help visualise the arrangement if desired.